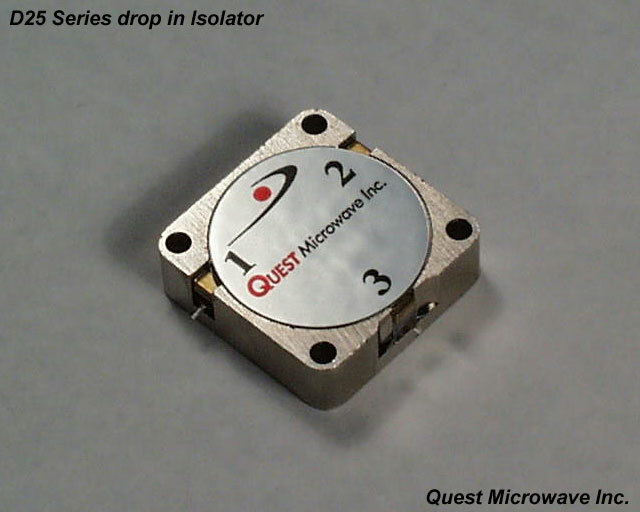 The D25 series is a conventional thru hole mount drop in device covering from 800 MHz to 1.7 GHz. Click on the image or drawing to enlarge it for more detail. The model number listed below is for isolators, change the "T" to a "C" for circulators. The D19 series is a conventional thru hole mount drop in device covering from 1.71 GHz to 2.9 GHz. 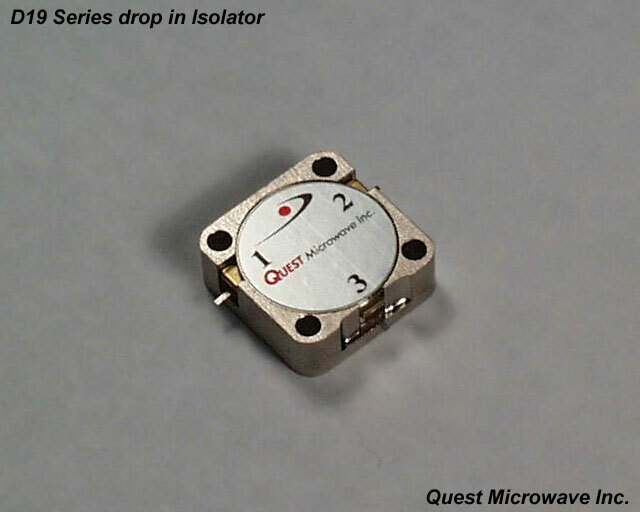 The D13 series is a conventional thru hole mount drop in device covering from 3.6 GHz to 14.5 GHz. Click on the drawing to enlarge it for more detail. 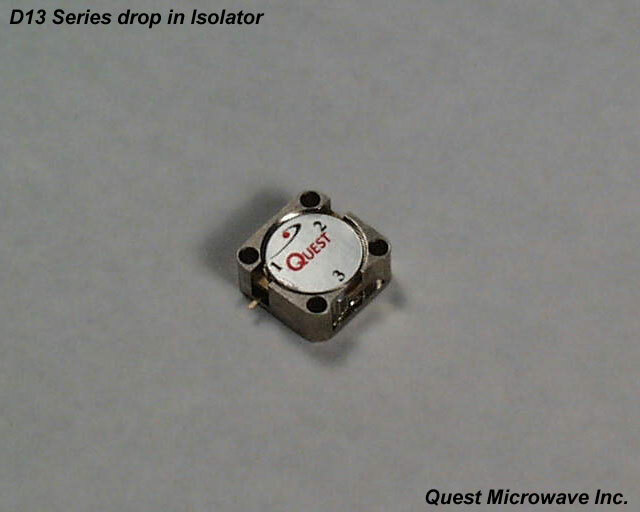 Copyright © 2002 QUEST Microwave Inc.